This beloved card store helps people everywhere express their innermost thoughts and feelings, enhance meaningful relationships and celebrate life’s milestones and special occasions. They have greeting cards you can email, print from home and even post to Facebook or text message. All online and printable greeting cards are customizeable and even free with your no-risk trial! 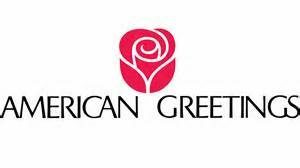 Don’t wait- try American Greetings today for FREE to print out all the cards you need to mail, schedule birthday e-cards for all your friends, and much, much more! Americangreetings.com has found the perfect combination. You can attach a gift card to thousands of ecards and they’ll be delivered together. It’s the easiest way to give a gift they’ll love. It’s easy to send a gift card with any ecard! After you add your personal message, choose the option to add a gift card. Your e-card and a redemption code for the gift card will be sent together when you click “send”!